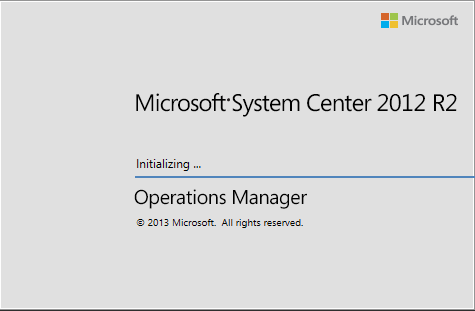 Open up System Center Operations Manager. 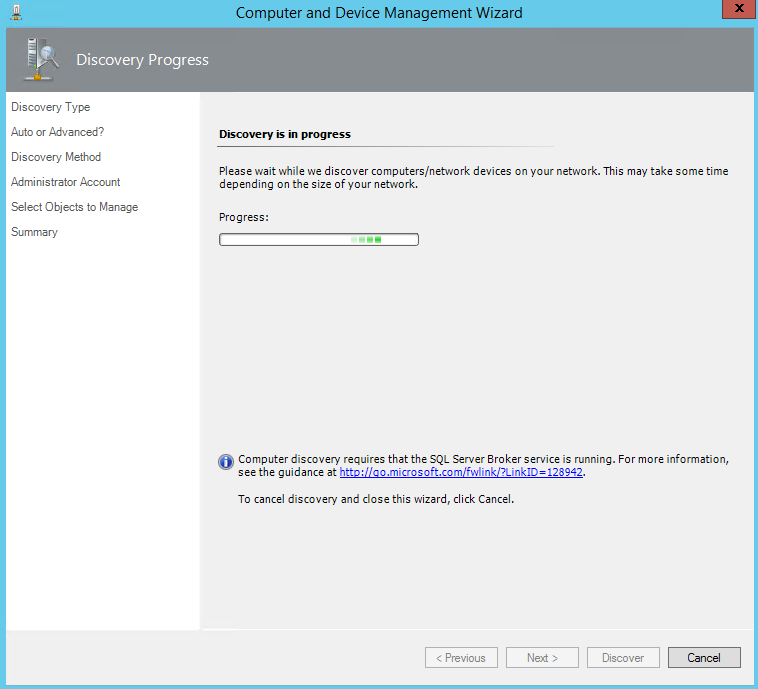 Wait for the system to initialize and connect to the DB. 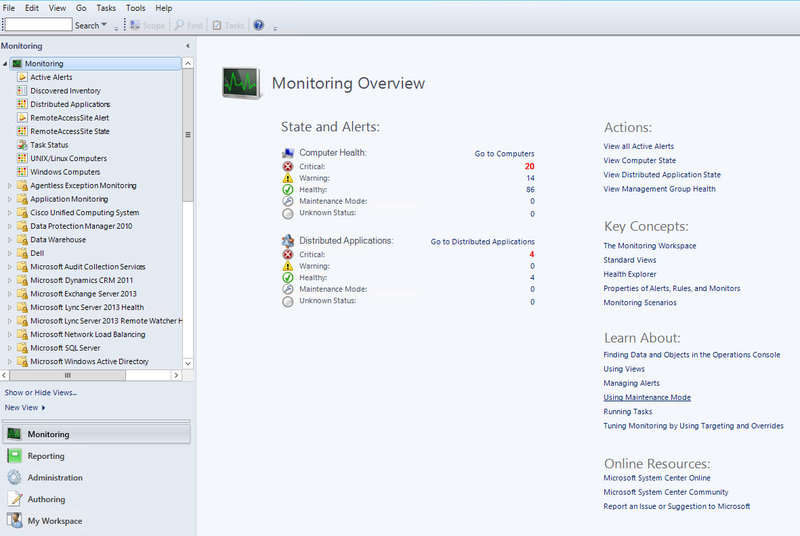 Once initialized you will be shown this screen. 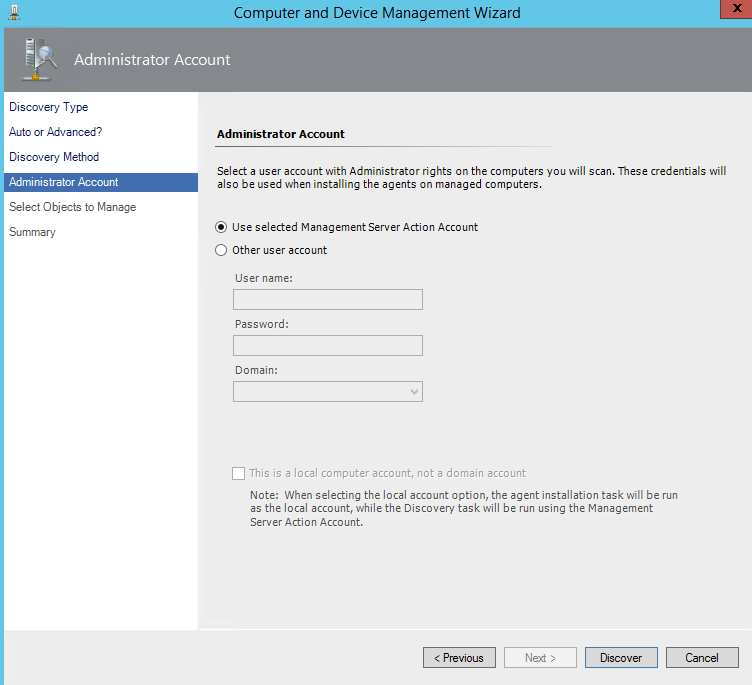 Step 1 -> Click on Administration. 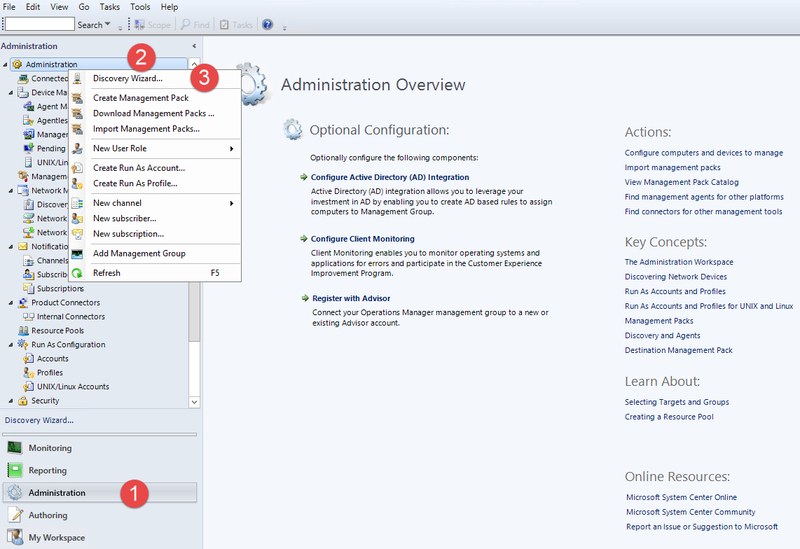 Once the menus refresh then Step 2 -> Right click on Administration. 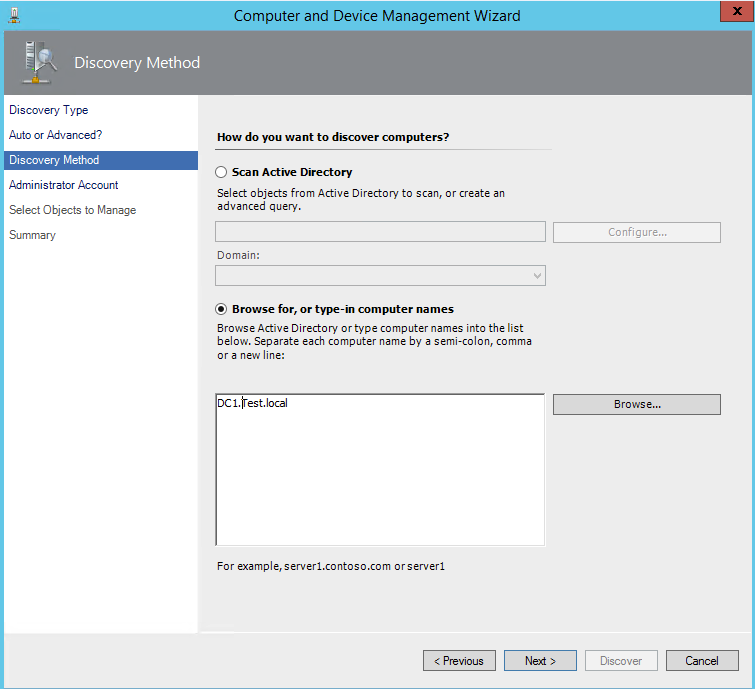 Step 3 -> Click on “Discovery Wizard”. 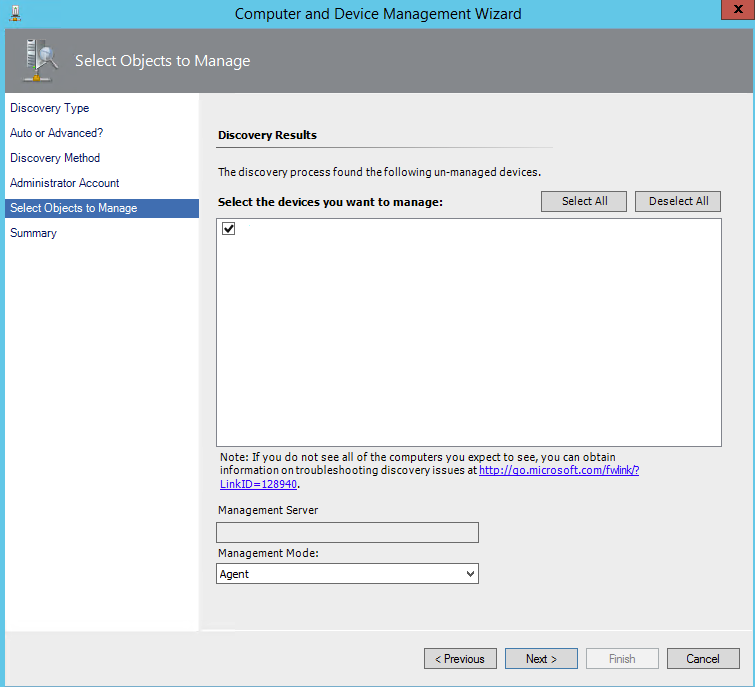 On the Discovery Type section click on Windows Computers. 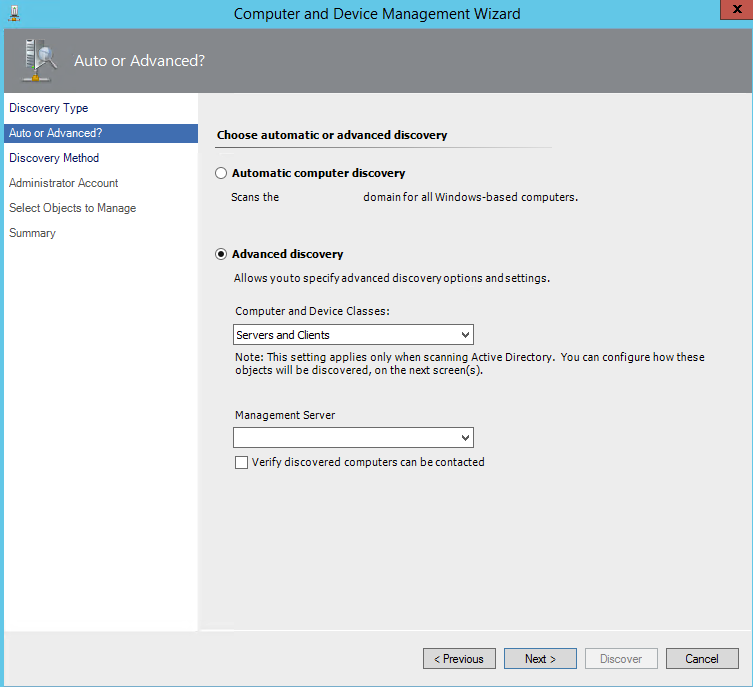 Click on “Advanced Discovery”, if you have multiple management servers then select one from the drop down or leave the defaults and click Next. Click on Browse for, or type-in computer names. I typed in the machine in this example. You can also click browse to select a machine. You can type in multiple computer names one below the other. Don’t forget to use the FQDN of the machine. Click on the Discover button. 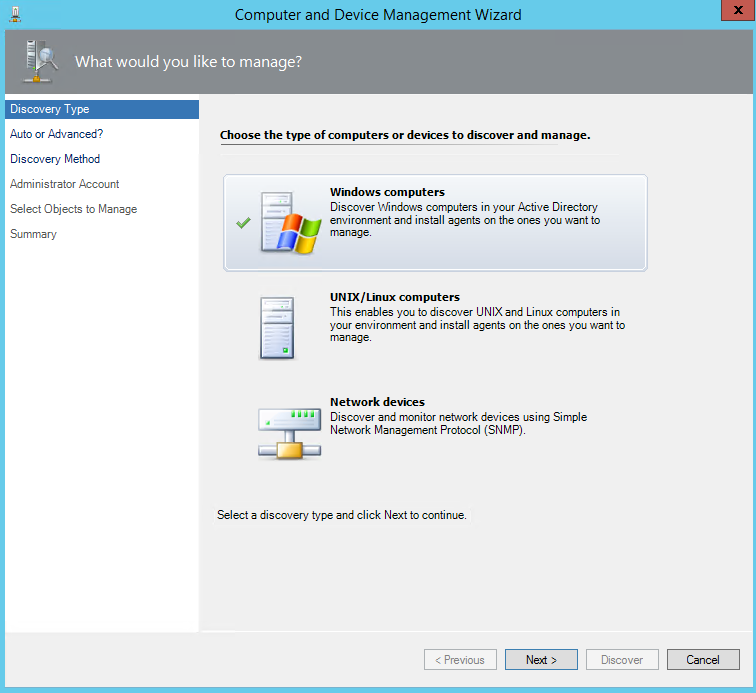 Once the machine has been discovered it will show in the box above (computer name removed), click on the check box to select the machine and then click Next. The summary screen will show, leave it as is and click Finish. 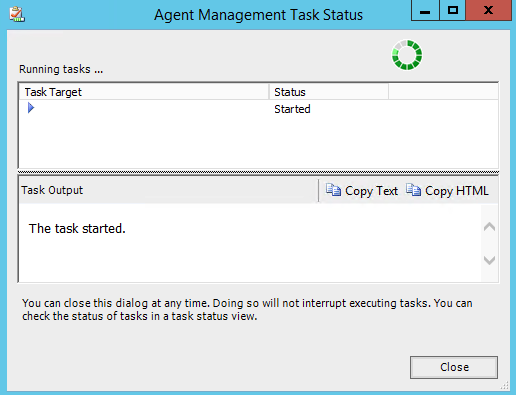 A task Window will show with the status. 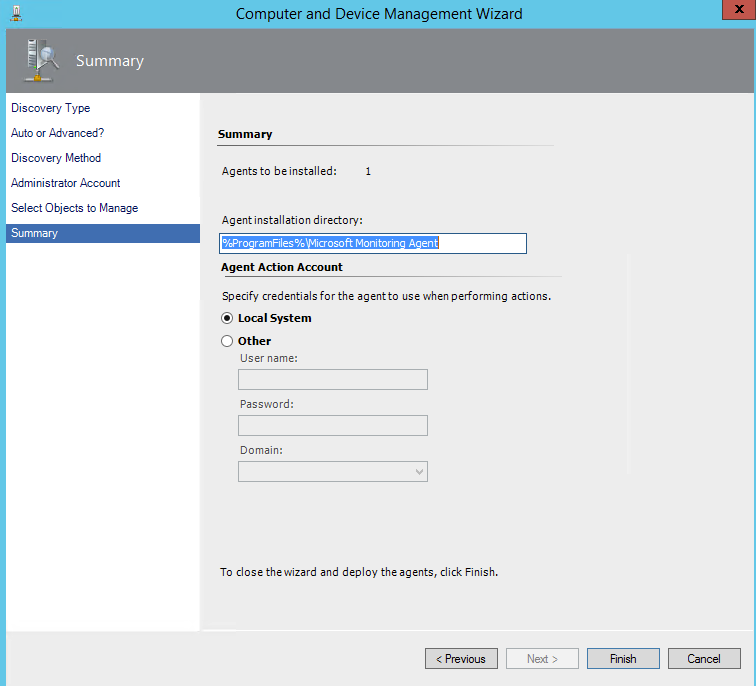 You can leave it open or close it and then in Administrator go and click Pending Management to see if the installation failed.